*ToyotaCare is a No Cost Maintenance Plan that is included with every New Toyota purchase. ToyotaCare includes factory recommended services, such as: Replace engine oil and oil filter, rotate tires, multi-point vehicle inspection, inspect & adjust all fluid levels. 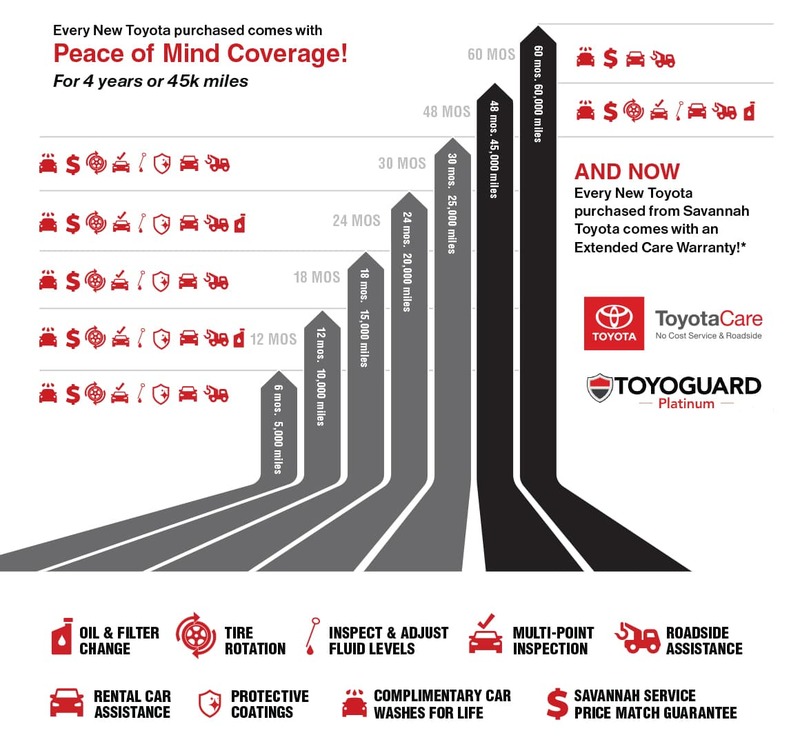 Vehicles with Toyoguard Platinum extends your No Cost Maintenance Plan for up to 4 years from the date of first purchase or 45k miles; whichever comes first. 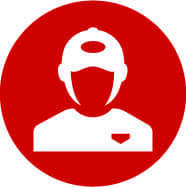 Please see your Savannah Toyota Service Advisor for details and service coverage based on vehicle model. ^ToyotaCare and ToyoGuard Platinum include Roadside Assistance that covers: battery jump start, lockout protection, emergency fuel delivery, tire service, towing, winching while either plan is in effect. Roadside Assistance does not include any parts or fluids, except for emergency fuel delivery. +Toyoguard Platinum includes coverage for (5) one day car rentals for warranty repairs that require a part replacement for up to 5 years/60K miles (whichever occurs first) from the date of first purchase. ^^Savannah Toyota will provide a complimentary rental car for one day with a qualifying customer paid repair over $400 when servicing at Savannah Toyota. See Service Advisor for complete details. 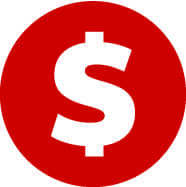 ++Savannah Toyota Service Price Match Guarantee requires proof of competitor’s current advertised service price or offer to be matched and cannot be combined with any other offer. See Savannah Toyota Service Advisor for details. Must present coupon upon arrival. Offer excludes tax & shop supplies.